Before today Blizzard had put out that mounts that were in game as gold sinks would not be account wide. Well guess what? They decided against that. See Mumper’s comments below. 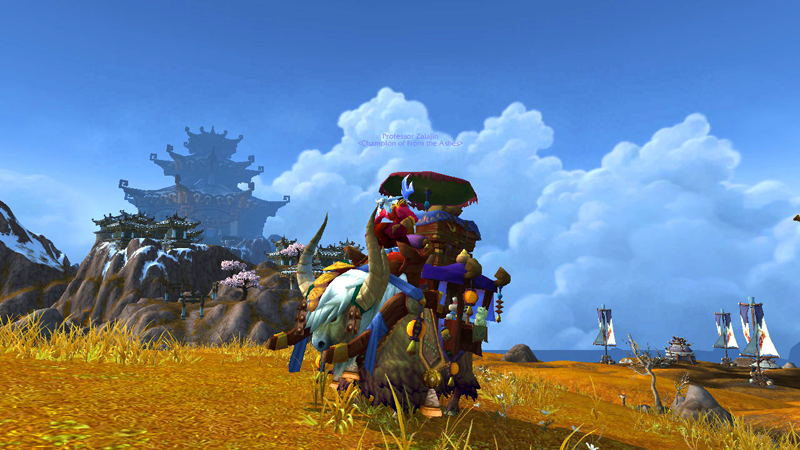 In other news I’ve been saving up for the Grand Expedition Yak mount on live so I’ll be able to purchase it when MoP goes live. Last night I hit the 60K gold figure that it currently costs on the beta. We’re not sure what the final cost will be. But I’ll be ready. Pet Battle with Old MacDonald! I did some pet battle testing today and they are adding more things all the time. Right now the ability to capture (And keep) a pet has been disabled. You can catch them, but they don’t go into inventory right now. 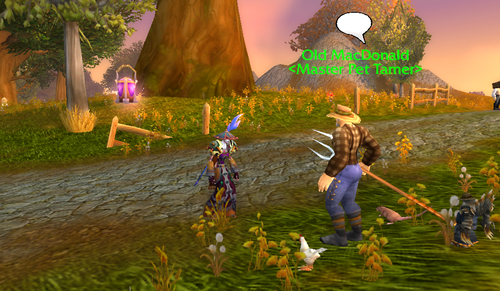 They have added some new features like getting a quest to duel a Master Pet Tamer when your pets level up. The quests currently take you into Alliance territory, not Horde. So more development is still needed before things are ready for prime time.